Have you ever wondered how can we make internet faster at our homes by adjusting the network signal? Most of us have at least a Wi-Fi Network at our homes. Even if you’re using mobile broadband, it’s easier to create a Wi-Fi Hotspot, there are some Wifi connection failure problems, though. Of course, you can connect multiple devices without the worries of wires. That said, however, there is a problem in town – lack of proper signal. 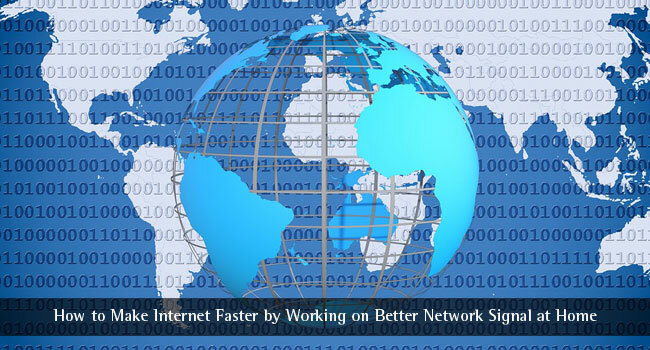 So, we hope you are looking for some effective methods to make internet faster at your home. You might not need many of the steps if you’re setting up the Wi-Fi for a single device, though. Shall we start? The first and foremost hardware to check is your Wireless Router. You don’t need the most powerful router from market. However, you need a decent Wi-Fi router for desired speeds. You cannot expect the best speed from your 2000-model router anymore. So, before you begin fixing the device or network for issues, be sure that you have the best hardware with you. When speed is the necessity, you have to make the right upgrade. For starters, try to get a Wi-Fi Router that’s compatible with the current standards. You might have to take a look at Network Standards. For instance, if you have an 802.11ac router, you have the benefits of Gigabit-level speeds. In previous standards, it was throttled to 600Mbps or so. You also have the choice between 5 GHz and 2.4 GHz bands. There are also dual-band routers, if you need versatility of throughput. We will discuss some sub-aspects in-detail. For now, make sure that you have an industry-standard solution for home wireless networking. So, you have one of the best routers for home, right? Now, it’s about placing the router in the right place. It needs to be noted that Wi-Fi speed is range-dependent. So, you need to make sure that your devices get the perfect range from the router. If it’s a single-device scenario, things can be better. You just have to place the router nearest to the device. On the other hand, if you have multiple Wi-Fi devices, there are a few steps. Suppose you have a single-floor house or apartment. Then, you have to place the router in the central place where every device will be at equal distance. On the other hand, if the building is multistoried, there is one alternative. Suppose there are two floors; then, you can place the router on the topmost position of first floor. You can probably use a bookshelf or a dedicated stand. By receiving the right amount of signals – without obstacles and interference, you can see a noticeable increase in Wi-Fi speeds. There are a few Android apps that can help you find the right position for your Wi-Fi router. Also, you should make use of multiple antennae if your router has them. Try pointing the different antennae at different directions – exactly like they are meant to. Before, we told that it’s good to have a dual-band Wireless Router. 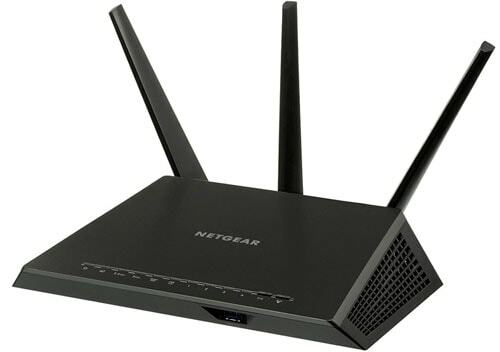 A dual-band router has support for both 2.4GHz and 5GHz frequencies. Out of the duo, 5GHz is better in many aspects. First of all, 2.4GHz band has been in use by many devices, such as wireless mice, keyboards etc. On the other hand, 5GHz band is likely to be free, and less congested. It means that you can have better Wi-Fi speeds without interference. In addition, 5GHz band supports enhanced throughput. As mentioned, it has gone beyond the 600Mbps limit and goes up to 1300Mbps. Obviously, all of this is subject to devise compatibility. If your devices don’t have complete support for 5GHz band, there is no point in making the shift. Okay, Channels and Frequency are different things as far as Wi-Fi is concerned. Every Wi-Fi router supports a variety of broadcasting channels – only one of which is used. If you live in a crowded area with many Wi-Fi devices around, this can be an issue. If all the devices are broadcasting Wi-Fi signals via a single channel, it can cause interference and lack of speed. There are a few methods to understand the Wi-Fi channel used by others around your house. To do that, in Windows 7, you can open CMD. Enter the command netsh wlan show all and you can see the list of devices and corresponding Wi-Fi channels. If you think both your neighboring devices and you are using the same channels, make the right change. This way, you can get rid of signal congestion and enhance speed. According to experts, you should go for Channels 1, 6 and 11 if you’re in crowded areas. By the way, you do not have to worry about channels if you’re on 5GHz. As said, there is enough space for seamless connection. We told you that newer Wi-Fi routers have better coverage support. That isn’t perfect, though. If there are a lot of obstacles in the way of broadcasting, you will have issues with the speed. Then, an effective idea is to re-broadcast the Wi-Fi signals with better power. And, that’s where we can use the help of Wi-Fi Signal Repeaters and Signal Boosters. Suppose there are two rooms in your house, with a huge wall in the middle. In that case, your Wi-Fi signals won’t get past the wall. So, you can simply place a powerful Wi-Fi Range Repeater near the wall. It will receive signals from your main router, process them and re-broadcast them via another network. At the end of the day, you have better signal support and speed to rely on. You can either use a spare Wi-Fi network as the repeater or an entirely dedicated Wi-Fi signal repeater. The first option would cost you less, given that you’ve one old router with you. How do you use Wi-Fi in your desktop devices? If you’re using card-based systems, it’s the wrong way. As it is somewhere not really accessible, you may have issues with range and speed. So, if you ask us, we would rather upgrade to USB-based wireless adaptors. These are really cheap and can be configured in no time. By doing so, you can enhance signal access and speed, in the long run. 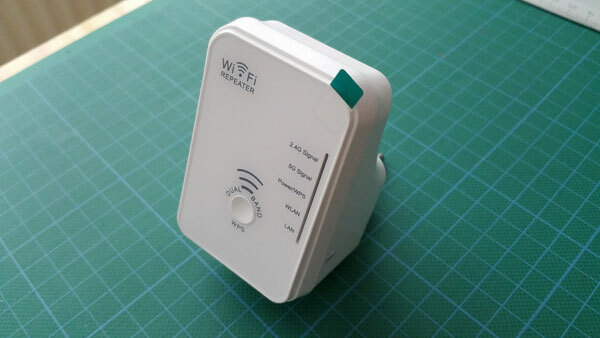 This step allows the router to communicate better with your Wi-Fi device. And, that is where all the points lie. You can see an impressive upgrade in terms of speed. Did your connection become slow in the course of time? Well, the router can be the issue after all. If you believe that hardware is all fine, you can take a look at the software side. Here, the best thing to do is to upgrade its firmware. 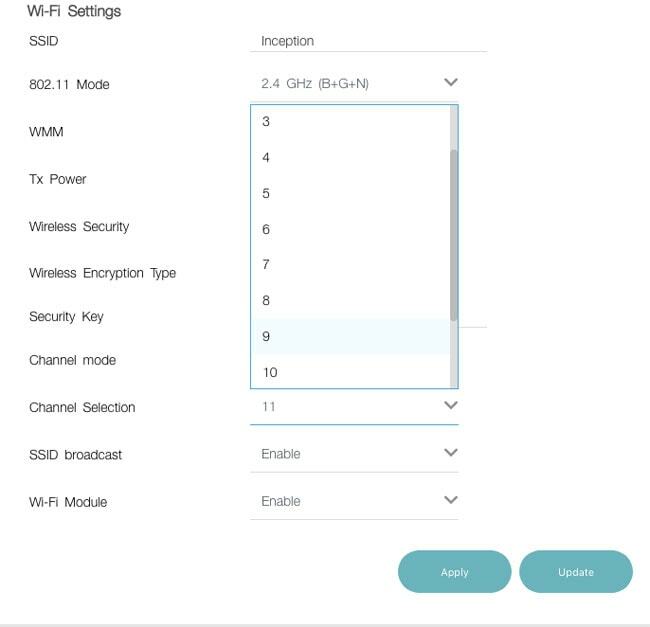 You can do so by accessing the Router dashboard, going to the Maintenance section and choosing the link for firmware upgrade. With every firmware upgrades, manufacturers bring some security patches and bug fixes. As a result, you’ll see gradual improvement in terms of speed. It’s also one of the best security practices. By running the latest firmware, you can get rid of router-hacking attacks and other issues. What’s more, you may also get some of the innovative features. Did you know that you can upgrade your Wi-Fi router to third-party firmware? Yes, and DD-WRT is there. DD-WRT is one of the most popular open-source firmware for wireless routers. It is available for almost all the routers around, from different manufacturers as well. We don’t say that you must shift into Firmware. It is because the process can be cumbersome in some instances. You may not find the correct version for a router you have. Once you have installed DD-WRT, however, you have plenty of benefits. It offers better performance as well as signal strength – when compared to the others. In the same way, you can have better customizability on the network aspects. You can even adjust the range of your Wi-Fi network, thus preventing strangers from accessing the network. So, even if you tire a bit, DD-WRT is worth what you do. Sounds amazing, right? This should work if you have a huge-enough home. In that case, a single router – no matter how powerful it is – can be short of power. So, the idea is to combine different routers and create a mesh network. The best part is that you can have a single network, though it’s three different devices. There are many packages that get you a pack of 3 or 6 routers, meant for an overall performance upgrade. These networks can be quite useful for data sharing as well. You are creating a network with high throughput and transfer rates, which is great. Well, these are the steps on how to make internet faster at your home. Following these steps, you would create a stronger network. We have also included steps for making the proper use of hardware capabilities. For instance, if you’re running on a dual-band wireless router, it certainly makes sense to shift to 5GHz and have better speeds. 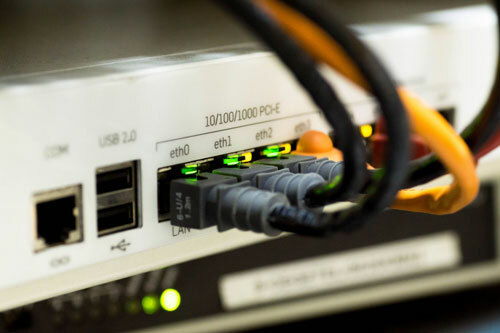 Before you do all these, however, make sure that your ISP isn’t fooling you in terms of speed numbers. Sometimes, programs will remain open or be running in the background of your computer, and this can cause a severe loss in speed and connectivity. When unnecessary programs are hogging the memory of your computer, it slows the whole system down. Hi, very nice post for a huge amount of information sharing.So thank you very much for the information. Wouhou! I finally found great secrets! I think that I am going to buy one Wifi repeater because these days my internet was super slow and I need a solution now. Thanks for sharing your wonderful ideas. I had tried working on point #2 which talks about placing it right. However, it didn’t seem to work initially. Later it worked perfectly! Thanks for the great tips. Wonderful blog. Thanks for these amazing tips. I’ve always struggled with good connections at home and blamed it on it being less expensive, but as your article suggests I have to look into other aspects and maybe figure out how I can increase the speeds without spending too much more money.